Psyched by Juli Caldwell is now available! You can find it on Amazon, and look for it soon in paperback! My thoughts: Aisi Turay is one awesome girl. She has power to see the dead...as in their souls. Now she's on a dangerous soul-risking quest, seeking answers to a mystery that's haunted her family for years. People she's lived around her whole life and never spoken to, as well as a new friend, have the knowledge she needs to solve it, and maybe bring her family back together again. This is a great read, filled with suspense. I NEVER knew from one chapter to the next what was happening. It is well written and a very enjoyable...and a bit scary, though not in the blood and gore sense. This is a thriller of the mind!! I LOVED this book!!! 6 thumbs up!! So far, great reviews for Psyched! "This is one of those books you just can't put down. What I love about Psyched in addition to a great, spooky story is strong characters and narrative voice. Aisi is the most awesome chick, strong-willed, sassy, and deals with some crazy stuff happening with a spunkiness that I loved... Psyched is well-written, riveting, surprising and genre-busting. Teens will love this book, but it definitely has a more wide-ranging appeal." "Aisi Turay is one awesome girl. She has power to see the dead...as in their souls...This is a great read, filled with suspense. I NEVER knew from one chapter to the next what was happening. It is well written and a very enjoyable...and a bit scary!" Psyched is part ghost story, part suspense, part demon-hunting thriller, part budding romance, the story of a girl named Aisi who's doing her best to keep it together for her wreck of a family. She is smart, sassy, and sarcastic enough to keep things interesting. When she meets Vance on the single worst day of her life, she finds a guy who just might be the first person ever to get her, to believe in her, and to out-random her with bizarre observations at the worst possible moment. There's just something about him that she knows she can trust. Together, Aisi and Vance wander through the memories of others to unlock the secrets of her past while battling a demon who wants to ensure she never finds what she's looking for. Aisi vanquishes demons all the time, but Malus Indolus is too strong. And he has plans for her...and her family. 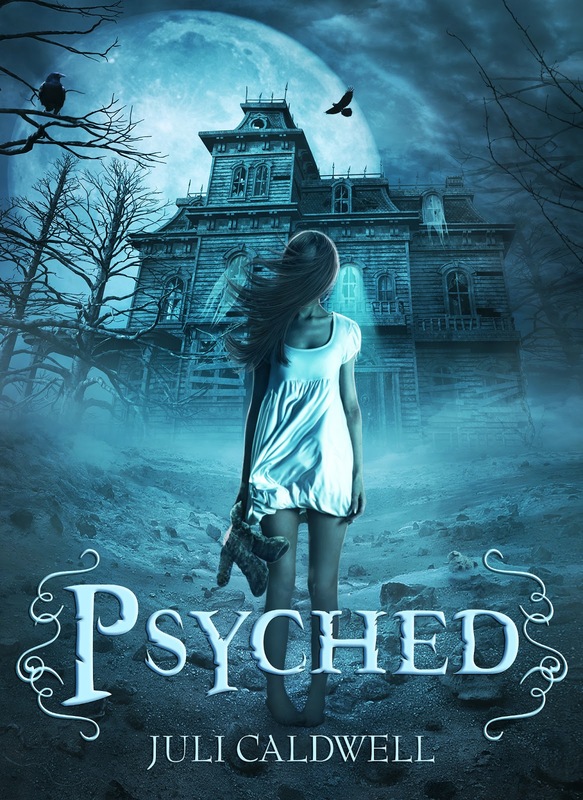 Psyched is Juli's second novel, the first as an indie writer, and her first experiment with her true love as a reader: paranormal fiction. Her debut novel Beyond Perfection is also available. I've got this on my TBR list! My Own Mr. Darcy Cover reveal!